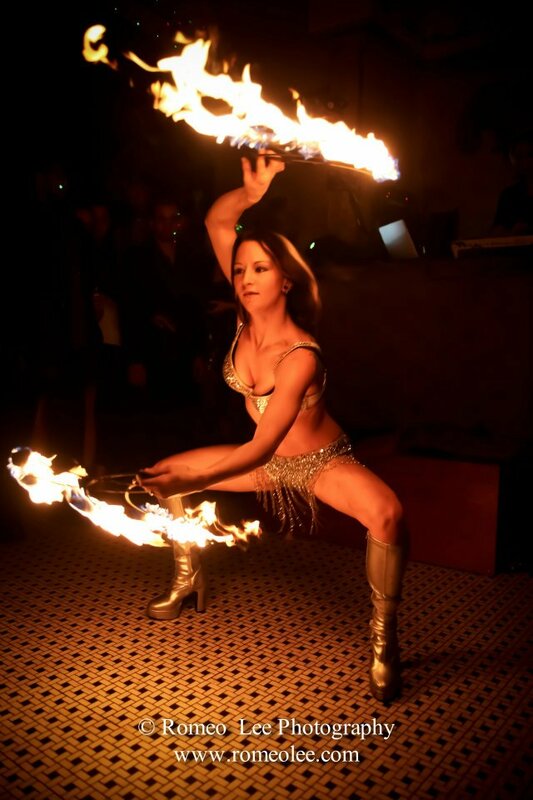 Sasha the Fire Gypsy is an amazing fire eater, fire breather, and fire dancer. As her sensual body flows with the beat of the music, she hypnotizes the crowd with her incredible ability to manipulate the fiery flame as if it were an extension of her own body instead of a burning force of nature. The crowd watches in silent amazement as Sasha puts fiery torches out with her mouth, dances with a blazing hula hoop, and executes impossible back bends while spinning balls of fire just inches away from her lovely face. Like a fire-breathing dragon of legend, this beautiful maiden breathes out huge bursting plumes of fire captivating the audience’s imagination. When asked about how she became a fire performer, Sasha explains that her love of fire began at an early age. She went to Valley Vocational High School, where she majored in metal fabrication. Sasha was the only woman in her class and she was the first female in the history of the school to become certified in welding. Sasha has also completed a blacksmithing apprenticeship, and to this day, she still enjoys metal fabrication and welding. Sasha continues to utilize these skills in creating new fire performance props and tools. 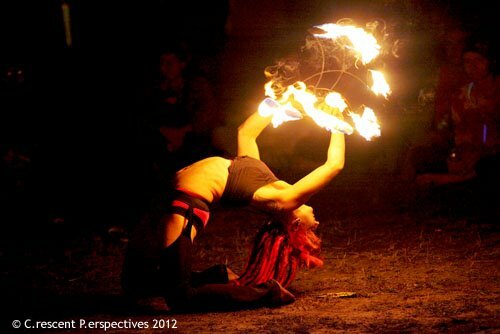 Sasha the Fire Gypsy is an outstanding performer who uses elements of theatrics, choreography and drama to bring her exciting fire show to its climax and yet always leaves the crowd wanting more. The way this amazing woman moves with the fire brings a whole new meaning to the term “Fire Dance”. Sasha performs a multitude of different fire acts that include unique, custom-made props creating an amazing experience that the audience will not soon forget. This Fire Gypsy is highly skilled in an incredible variety of different fire arts and has been performing for audiences since 2006. Sasha the Fire Gypsy is a modern-day fire eater and one of the top fire performance artists in New York.